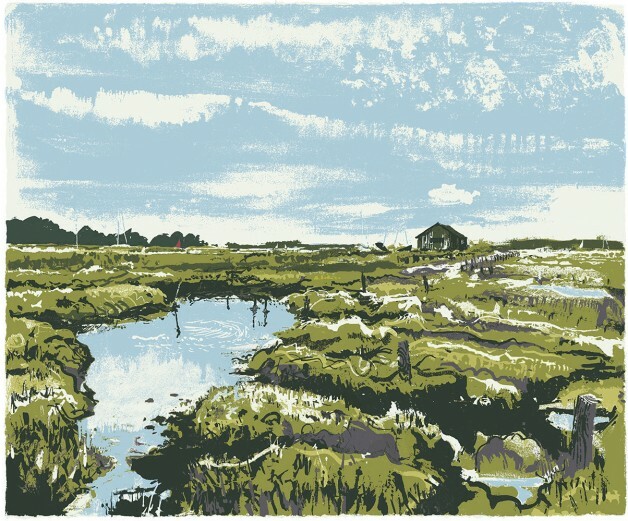 Painted at low tide out on the tidal mudflats of Newtown Creek under a hot sun. I realised after an hour or so that I was slowly sinking into the mud as were my rucksack and easel too. Extremely beautiful and absorbing spot with an abundance of birdlife. I am interested. Is this available and at what price. How soon could I receive. It would be a present for an event.